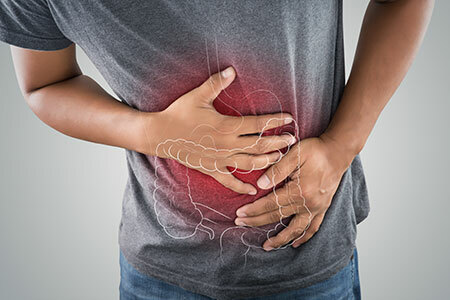 New research offers insights into the connection between regulatory T cells and ILC3-driven colitis, suggesting opportunities for checkpoint modulation therapies. Researchers at Merck and the University of Bern explored the role of FoxP3+ regulatory T cells (Treg cells) in innate lymphoid cell 3 (ILC3)-driven colitis. The researchers found that Treg cells inhibited production of the pro-inflammatory cytokines which drive ILC3 production of interleukin 22 (IL-22). They identified latent activation gene-3 (LAG-3) on Tregs as the mediator of this effect1. To elucidate the mechanism by which Treg cells control ILC3-driven colitis, Bauché et al. transferred either Treg or T effector cells into mice lacking T and B cells (Rag2 knockout mice, Taconic Biosciences' model #RAGN12) and induced colitis via administration of anti-CD40 antibody. Mice which received the Treg cells had less severe colitis compared to those which received the T effector cells or control mice which received no cells. Further experiments showed that Tregs do not act directly on ILC3, but rather suppress function of CX3CR1+ macrophages, which decreases expression by those macrophages of cytokines which upregulate IL-22 expression from ILC3 cells. This effect is dependent on LAG-3, an immune checkpoint receptor expressed on the surface of Tregs1. With the blockbuster success of various checkpoint inhibitor therapeutics in oncology, pharma and biotech are exploring additional applications for these drugs. Inflammatory bowel disease (IBD) affects 1 in 200 Americans and represents a large potential market for new therapies. Multiple companies currently have LAG-3 modulators in the pipeline, including Bristol-Myers Squibb, GlaxoSmithKline and Immutep, a company focused on LAG-3. Expect to see more research on this target across a range of therapeutic indications. Do Some IBD Treatments Work by Altering the Gut Microbiota? 1. Bauché, D.; Joyce-Shaikh, B.; Jain, R.; Grein, J.; Ku, K. S.; Blumenschein, W. M.; Ganal-Vonarburg, S. C.; Wilson, D. C.; Mcclanahan, T. K.; Malefyt, R. D. W.; Macpherson, A. J.; Annamalai, L.; Yearley, J. H.; Cua, D. J. Immunity 2018.